Cuba seems far removed from the horrors of Hitler’s Holocaust. But here in Havana, the synagogue Templo Sefaradi serves up an excellent exhibit that keeps those memories alive . . . and ties them directly to Cuba. 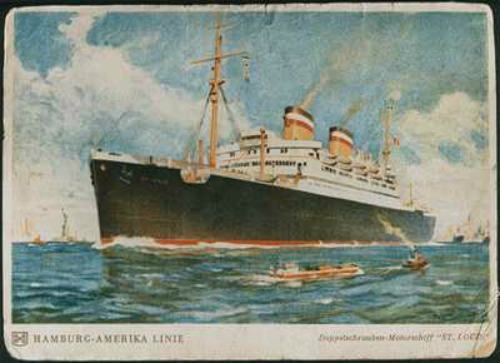 The exhibit reminds us of the tragedy of 938 Jews who fled Europe in 1939 aboard the St. Louis, a transatlantic ocean liner. Cuban authorities allowed 28 to stay, but turned away the rest – as did the United States. Eventually, 254 of those on the St. Louis were offloaded in Europe, only to lose their lives in the concentration camps. The Templo Sefaradi exhibit isn’t the only Holocaust memorial in Cuba. In Santa Clara, David Tacher guides us to a small, but powerful memorial in the Jewish cemetery there.For 3 members of our tour group, these memorials unleash family stories of how the Holocaust profoundly affected their very existence.